Hakimifard has been a WIM since 2010. 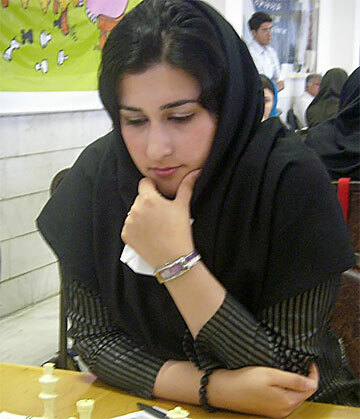 She won her 3 norms being at the 11th Dubai Open in 2009, the 8th International Caspian Cup (A Class) in early 2010 and the World Girls U16 Championship in late 2010. The name Ghazal is Arabic (and by importation Urdu/Farsi) for "gazelle." It also refers to an ancient genre of love poems: http://en.wikipedia.org/wiki/Ghazal.